Welcome to NEW LIFE DETOX we are one of the best Drug Addiction Center Orange County has to offer! It is through this blog that NEW LIFE DETOX will share updates about NEW LIFE DETOX alcohol and drug addiction treatment centers in California, as well as highlight items of interest and breaking news developments from the world of addiction rehabilitation treatment.If you’re visiting this Drug Addiction center orange county website, you’re likely already aware that alcohol and drug abuse can have a large, negative impact on lives. NEW LIFE DETOX alcohol and drug rehab centers strive to create a serene setting for alcohol and drug addiction treatment, and utilize proven, unique therapies to address the fundamental causes producing alcohol and drug abuse. Taking an overdose of alcohol and other drugs never create the true sense of happiness users create. The truth is that the human mind is wired to respond from within, and not through external factors. That’s where we come in. At New Life Treatment Center, our staff members are trained to guide individuals to uncover the true happiness that resides deep within them. New Life Treatment Center provides rehab services aiding in recovery and management of anxiety, fear, depression, and other debilitating emotional issues that weighs people down due to addiction. We want you to experience a NEW LIFE full of vitality like you have never seen before. Substance abuse involves the use of drugs (legal or illegal) in the wrong way or in a harmful manner. Substance use should be distinguished from substance abuse. One can use some of these substances without abusing them, for example leisurely drinking alcohol. Experts agree that substance abuse graduates when repeated use causes some form of impairment, for example, Impaired control, Social issues, health issues and many more. The Orange County Register found that Substance abuse caused about 5500 hospitalizations in the Orange County in the period between 2013-2015. It further stated that the abuse of drugs caused 700 deaths annually during that period. The Register stated that the most common cause of these deaths was an overdose of prescription drugs. The trend shows a tendency among people in Orange County to abuse opiates. The report found that coastal cities had been more affected by substance abuse. They also found out that more men than women die from substance abuse. It also found that people of all ages are affected by illicit use of substances. In fact, it rather surprisingly discovered that older people who abuse drugs tended to be older; aged between 25 – 64. This is contrary to the popular assumption that substance abuse is mostly associated with teens and young people. Substance misuse basically leads to addiction. This is a state which involves a strong desire to use the substance, difficulty in controlling its use and persisting in using it despite its harmful nature. Abusers tend to give the substance priority over other things, have a higher tolerance toward the drug and experience withdrawal symptoms when not on the substance. Below are some of the commonly abused drugs in Orange County. Alcohol abuse affects different people differently. However, abuse is widely known to cause liver and kidney problems. Since it is legal, however, it may be difficult to tell the draw the line between use and abuse. These drugs can be just as addictive as other drugs. Abuse of prescription drugs happens when one takes medicine meant for someone else, takes extra doses of a prescribed drug or taking drugs for non-medical reasons. Cough medicine and painkillers are mostly abused in this category. Heroin is an illegal Opiate. It causes a feeling of extreme euphoria at first then it rapidly wears off. It leaves one with a feeling of wanting more. This makes the drug very addictive. Marijuana use causes a feeling of happiness when taken. Currently, California has legalized recreational marijuana. However, long-term use can lead to addiction. Cocaine is an illegal and very addictive drug. It causes a variety of really strong emotions. The drug causes a strong feeling of wanting another ‘hit’ once its effect wears off. Nicotine is mostly found in cigarettes and it causes a brief period of happiness. This leads to an increased desire to use again. As stated above, prolonged substance abuse likely leads to addiction. There is hope, however, because substance misuse is treatable. 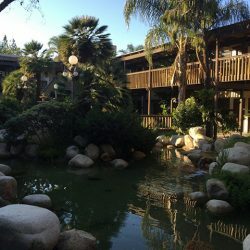 New Life Treatment Center is a rehabilitation center in Orange County that helps addicts regain their true happiness back within a short time. Substance abuse distorts the normal functioning of the brain. This makes it a very complex issue to handle. Sometimes, we even find that some reformed abusers relapse even after going through a long period without the drug. This usually leads to disastrous consequences. Therefore, we aim to assist you in breaking dependence on the substances completely. This requires effort from both the abuser and us for it to be effective. We understand that every case of substance abuse is unique and that is why we make ourselves available to patients all the time. Attending to the individual needs of the patient. Most patients usually have an underlying issue that is in some way connected to their drug abuse. If you fail to solve this, a mere detoxification will likely not provide the results that you desire. We aim to solve all of the patients’ psychological issues in order to solve the major issue that is related to addiction, drug abuse, and so on. In addition, every patient is unique. This means that each patient needs a unique form of treatment. It is therefore very critical that the individual needs of each patient be tackled in order to have a successful treatment. Since substance abuse alters the chemistry of the brain, it is very important to change the mindset of an individual who desires to be free. It is important for a patient to shift their focus towards a total lifestyle change. The process becomes more effective if the patient himself desires to change even if initially it was forced upon them. Behavioral therapy mainly involves counseling. Counseling can be done individually, with the patient’s family or in groups of other substance abusers. This helps the patient in improving problem-solving skills, replacing substance use with more fulfilling activities, maintaining abstinence and many more. This therapy also involves interaction with peers. This can help motivate the patients to persevere in the fight against substance abuse. Treatment usually begins with detoxification. Contrary to popular belief, it does not end there. Medication continues according to the severity of substance and drug addiction and the particular needs of the patients. Different drugs are used in managing different types of substance abuse. The drugs help in reducing the drug use of the patients involved. These drugs have to be regularly modified as the patient’s condition improves. We also involve the patients in screening for any other diseases. The patients are then given medication to help regulate a particular ailment. This helps in improving the overall condition of the patient. Treatment duration depends on the patient’s overall condition. Follow up is required during and after the period of treatment. Some substance abusers require multiple episodes of treatment even after the initial treatment. We advise the patients on the best course of action and we make sure to follow up on it. We check to ensure that lapses in treatment do not occur. Lapses in treatment can slow the process of eliminating substance abuse. Substance abuse can be defeated with commitment and the appropriate guidance from professionals. We have qualified and experienced professionals to help you deal with any case of substance abuse. Our doors are open to any addict with PPO Insurance, Anthem blue shield, and Cigna United Healthcare.